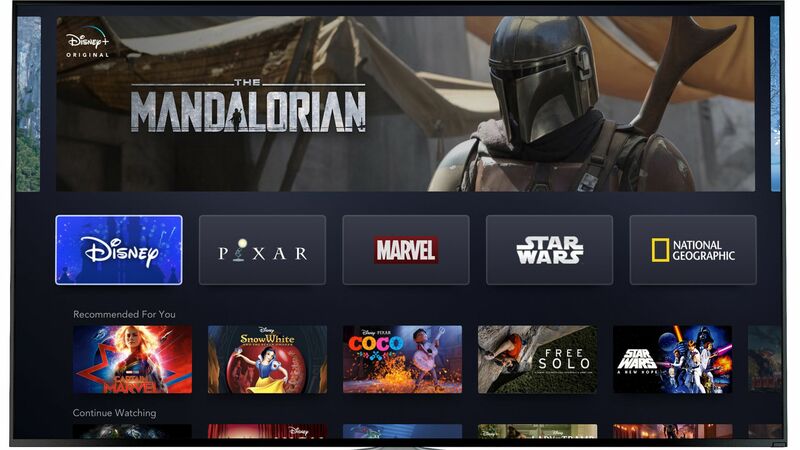 We now know what Disney's highly anticipated family streaming service, Disney+, will look like. On Thursday, executives touted an array of new and old programming that will be available exclusively on the app, as well as its plans to launch the service. The big picture: Disney's main message to investors was that it's better than anyone at making great movies and series, and now it's ready to take on Netflix to distribute that content. The details: The company touted the expansion of franchises that it's acquired over the years like Star Wars, Pixar and Marvel. It revealed some of its original programming plans and explained ways users could access all of its classics, like old Disney movies and Disney channel TV shows. The company confirmed that Disney+ will be ad-free, and that it may be sold as a part of a bundled package along with Hulu and ESPN+. Disney says consumers will be able to download all of the content from Disney+ on an unlimited basis so long as they are subscribers. It confirmed that the service will launch in late 2019 in North America. It says it will launch shortly after in Asia Pacific and will launch in Latin American in 2020. It otherwise didn't reveal many new details about ESPN+ (ESPN's new digital subscription service) or Hotstar, the biggest subscription streaming service in India. But executives from both companies still appeared and touted lots of user numbers. Be smart: The merger will go down as one of Bob Iger's defining moments as CEO and Chairman of the company. Iger announced Thursday that he will exit Disney after many years once his contract expires in 2021, although he joked that he's said that before. Bottom line: Disney conquered the 20th century world of entertainment with great programming. Its message to investors Thursday was that it knows moving forward that great programming alone won't cement its dominance in entertainment. Distribution is just as important. The race to become the "Netflix of sports"
Former ESPN boss John Skipper made waves last year when he joined relatively unknown sports streaming network DAZN (pronounced "Da Zone"). Why it matters: Skipper is hoping to build a subscription service akin to the "Netflix of sports" by wooing leagues that already have a line of digital and TV companies waiting anxiously for existing contracts to expire. The big picture: Sports is one of the few types of content that is still watched live, but consumers have shown a propensity to engage with digital sports content on a second screen while watching games live on television. This is especially true for mega-fans who engage in sports betting and fantasy sports. That's why legacy networks are also pushing into the sports streaming space, hoping to create new direct-to-consumer relationships. But their efforts are mostly focused on niche sports so far, not big-ticket events that could cannibalize their lucrative live TV viewers. CBS Sports and CBS Interactive launched CBS Sports HQ last February, a free 24-hour streaming sports news network that provides news, highlights and analysis. NBC Sports launched NBC Sports Gold in 2016, a subscription over-the-top service that has expanded and offers some live access to niche sports, like cycling, rugby, tennis and European soccer. NBC also launched a golf service with PGA Tour last year. ESPN launched ESPN+, which includes original programming and news content, last year and recently announced that it's surpassed roughly 1.5 million subscribers. Discovery launched GOLFTV, a video streaming platform with the PGA Tour this year to carry more than 2,000 hours of live golf tournaments. The bottom line: If tech or streaming companies can eventually win over rights to stream more and bigger events, they can capitalize on the data they collect from consumers to offer people more choices in how they watch sports.